An offline action pack containing the WikiFundi editing environment, materials and content that allows for new editor training and contribution to continue when power, technology and the internet is unavailable. An action pack that contains the WikiFundi software, materials and content that facilitates the outreach work done by local Wikimedia chapters and user groups, or isolated individuals in African countries. This pack allows for new editor training and contribution to continue when technology fails or is inadequate, the internet is inaccessible, or the power goes out. Wikipack Africa was designed and created to support the WikiAfrica movement and Wikimedia volunteers across Africa. It has been developed by Florence Devouard and Isla Haddow-Flood. The proof of concept has been conducted in collaboration with Wikimedia CH and supported by the Orange Foundation. 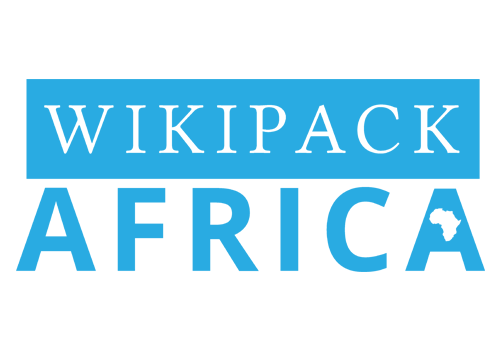 The Wikipack Africa and its documentation is licensed under CC-BY-SA 4.0.